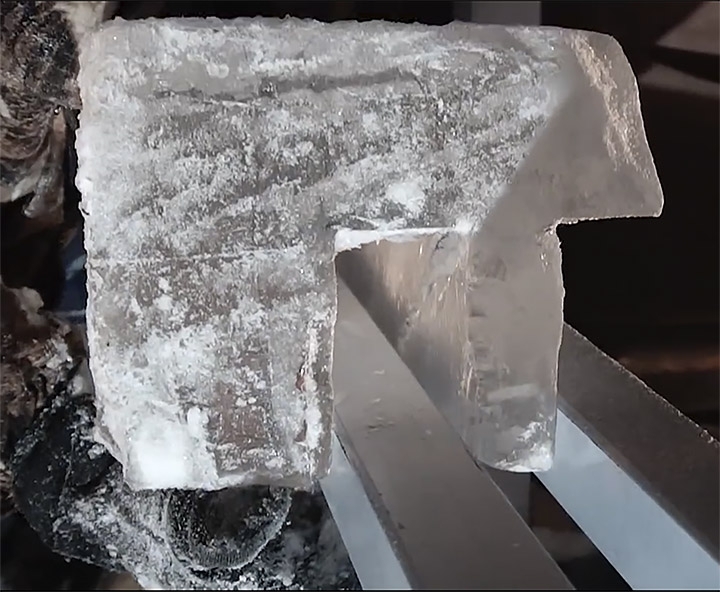 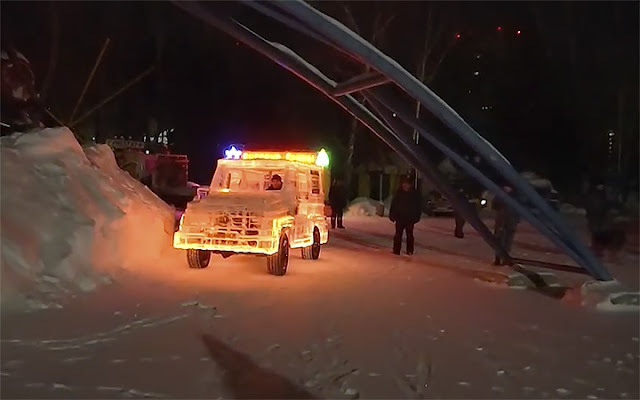 This might be the coolest car in the world made from solid Siberian ice. 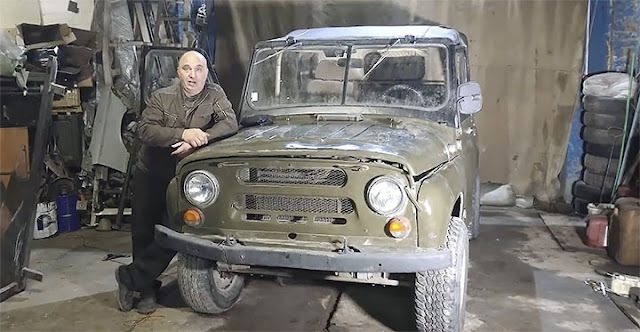 Man took his old UAZ and six tons of ice. 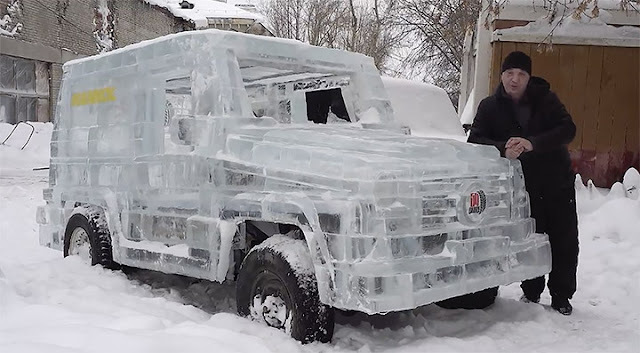 Mixed it all together and here is what he got. 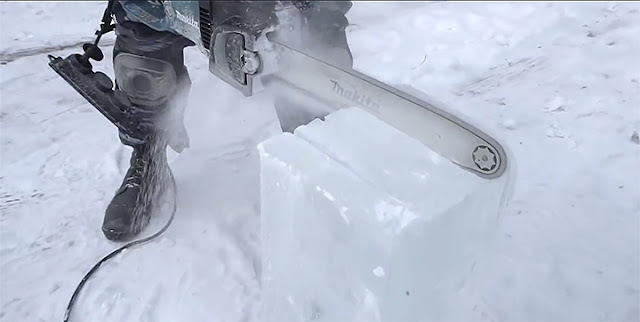 First he made a frame to hold all this six tons of ice in place. Then he cut ice into bricks with his chainsaw. Now when everything is in place you can actually drive it. 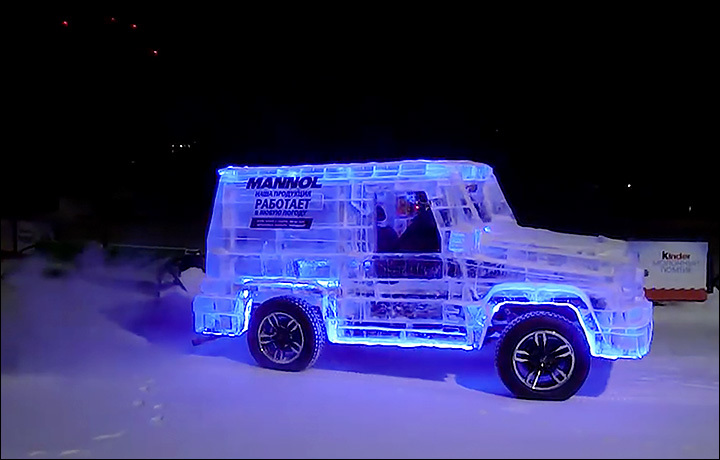 They even got a permission from local authorities to drive it around local park to entertain people.